STREAM MUSIC TO ANY STEREO YOU WANT. 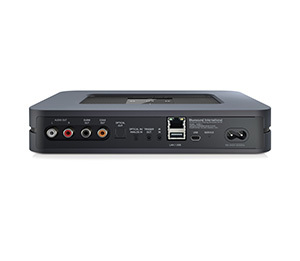 Connect the NODE 2 easily to any existing stereo or home theater system to unlock and discover a world full of music streaming services and internet radio stations. Filled with a full array of analog and digital input/output/, the NODE 2 connects your gear to all the music ever recorded. Online streaming services, internet radio and even your own digital music library imprisoned on a computer, smartphone or external drive – the playback choices become infinite. MADE FOR MORE THAN MP3. Of course Bluesound is compatible with MP3s – and just about every other digital format ever created – but Bluesound was purpose-built for high-res audio. 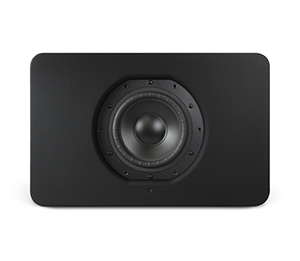 While other companies put a premium on style, Bluesound has spared no expense on the integration of advanced, innovative audio technologies that deliver blazingly fast error-free playback in maximum studio-master recording quality, resulting in absolutely unbeatable performance. THE FUTURE OF MUSIC IS FAST. Using industry-leading 1GHz ARM Cortex-9 Multi-core processors, you’d think Bluesound was engineered for something more than just audio. 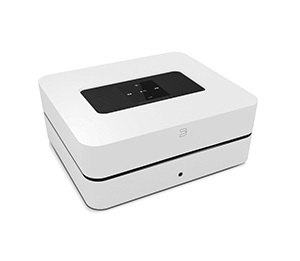 Bluesound’s 32-bit architecture combined with 8x oversampling DAC platforms, ensures that your lossless high-res music playback is flawless, with precision and clarity – at any volume. ALL THE MUSIC EVER RECORDED. Discover instant access to millions of songs. Premium high-res music services like TIDAL®, Spotify® and Qobuz® – as well as virtually all other popular music services and internet radio stations are already built-in. Access your downloads and your entire iTunes library – or any other USB NAS drive connected – all without ever turning on a computer. Imagine – Your Music. Your way. HIFI YOUR WIFI. 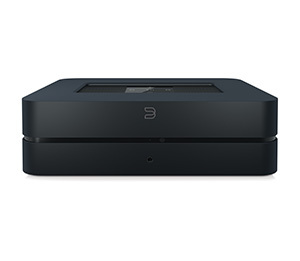 The NODE 2 uses your home wireless network, and sets up quickly. 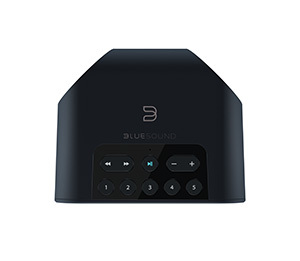 With an advanced WiFi antenna design and blazing-fast ARM Cortex A9 Processors, Bluesound ensures that there are no skips or delays in every corner of your home – even when streaming high-res audio files. 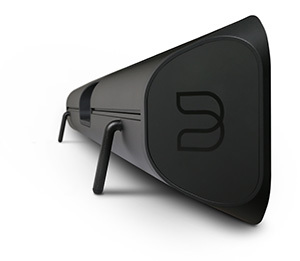 Play your music in perfect sync, or play different music simultaneously, to any player in any room. INDUSTRY-LEADING HYBRIDDIGITAL™ AMP + 32-BIT 192KHz DAC. 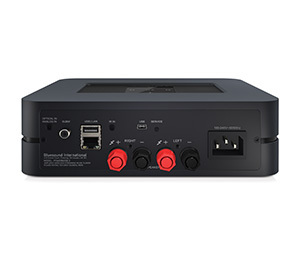 Our award-winning, state-of-the-art, audiophile-grade HybridDigital™ amplification and DAC technologies brings dynamic power and high-current delivery to your high-res music experience, resulting in the ability to play louder than ever before, with the same zero-distortion precision audio signature we’ve become known for. Permission to turn it up, granted. THE FUTURE OF MUSIC IS FAST. Using industry-leading 1GHz ARM Cortex-9 Multi-core processors, you’d think Bluesound was engineered for something more than just audio. Bluesound’s 32-bit architecture combined with 8x oversampling, paired with our own innovative HybridDigital™ Amp and DAC platforms, ensures that your lossless high-res music playback is flawless, with precision, power and clarity – at any volume. HIFI YOUR WIFI. 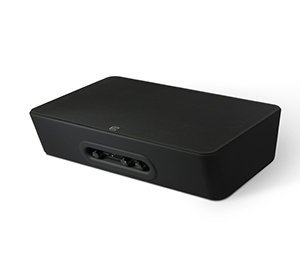 The POWERNODE 2 uses your home wireless network, and sets up quickly. With an advanced WiFi antenna design and blazing-fast ARM Cortex A9 Processors, Bluesound ensures that there are no skips or delays in every corner of your home – even when streaming high-res audio files. Play your music in perfect sync, or play different music simultaneously, to any player in any room. RIP IT. STORE IT. DOWNLOAD IT. ALL WITHOUT A COMPUTER. Rip all your CDs rapidly in lossless high-resolution formats, space-saving MP3, or both simultaneously. 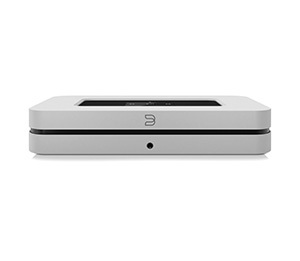 Purchase, download and store high-res tracks on a dedicated ultra-quiet 2TB hard-drive – with no computer needed. Access and share your entire digital music collection and stream it in studio-quality to multiple rooms all over the home. HIFI YOUR WIFI. 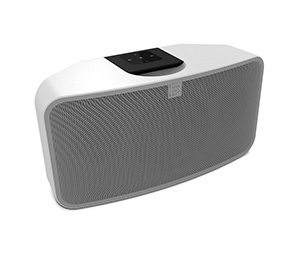 Bluesound uses your home wireless network, and sets up quickly. 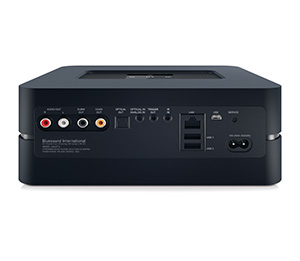 With advanced Gigabit Ethernet connectivity and a blazing-fast ARM Cortex A9 Processor, Bluesound ensures that there are no skips or delays in every corner of your home – even when streaming high-res audio files. Play your music in perfect sync, or play different music simultaneously, to any player in any room. 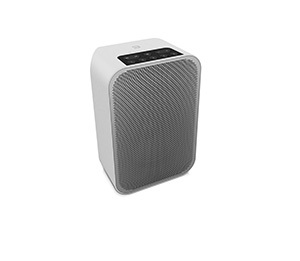 COMPACT ALL-IN-ONE WIRELESS STUDIO-QUALITY SPEAKER. Place the PULSEMINI on any bookshelf, countertop or end table, and hear the difference that 50 Watts of bi-amplified stereo sound can bring to any room. A patented dual-acoustic chamber with state-of-the-art DSP equalization maximizes bass power and clarity, while the high-performance 4” woofer pumps beautifully blended full-range sound into any room. THE FUTURE OF MUSIC IS FAST. 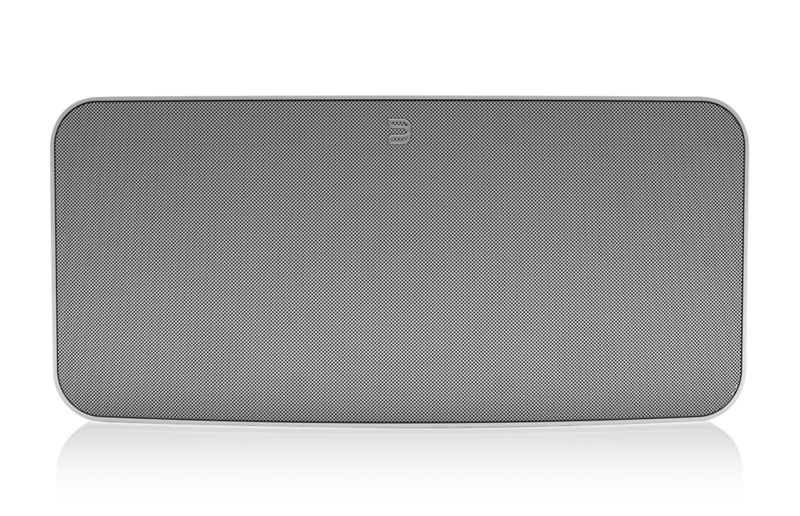 Using industry-leading 1GHz ARM Cortex-9 Multi-core processors, you’d think Bluesound was engineered for something more than just audio. Bluesound’s 32-bit architecture combined with 8x oversampling, paired with our own innovative DirectDigital™ Amp and DAC platforms, ensures that your lossless high-res music playback is flawless, with precision, power and clarity – at any volume. PLAY MUSIC DIRECTLY FROM YOUR MOBILE. 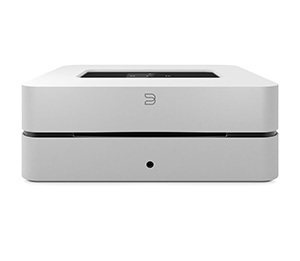 Wirelessly stream any music stored on your iOS (iPhone, iPad or iPod Touch) or Android device directly to any Bluesound Player over WiFi to instantly enjoy your entire mobile music library – every song and every playlist. Bluetooth’s highest bitrate protocol – aptX – is also built into every Player, opening up a whole new realm of CD-quality streaming possibilities for you, or anyone in the room with a Bluetooth device. HIFI YOUR WIFI. The PULSEMINI uses your home wireless network, and sets up quickly. 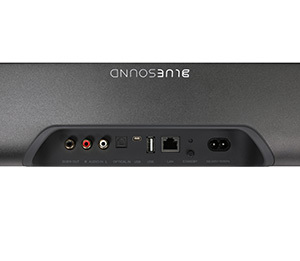 With an advanced WiFi antennae design and blazing-fast ARM Cortex A9 Processors, Bluesound ensures that there are no skips or delays in every corner of your home – even when streaming high-res audio files. Play your music in perfect sync, or play different music simultaneously, to any player in any room. ULTRA-COMPACT ALL-IN-ONE PORTABLE SPEAKER. 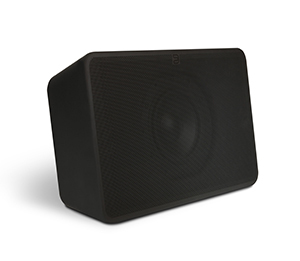 PULSE FLEX is a game-changing 2-way speaker that delivers the best of both performance and portability. Mount a pair in the corners of a large room for a full stereo sound field, hide one on a bookshelf, take one out to the patio table or throw one in your bag for a picnic – it’s the true flexibility you’ve been waiting for in a multi-room streaming music system. And it will change the way you think about personal audio.